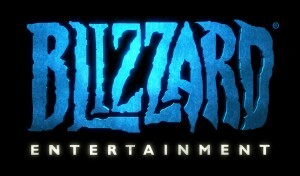 BlizzCon 2013 Virtual Tickets Still Available! BlizzCon® 2013 is just two weeks away—and while tickets to attend the show sold out in seconds, you can still get a virtual front-row seat at Blizzard Entertainment’s epic gaming convention with the BlizzCon Virtual Ticket, now available to order at www.blizzcon.com. ATTN: DIRECTV® Viewers! DIRECTV customers in the United States will once again be able to join the excitement by ordering the DIRECTV BlizzCon 2013 Pay Per View event, priced at $49.99 USD, which includes the Virtual Ticket online stream and in-game goodies mentioned above as part of the purchase. More information on the DIRECTV Pay Per View event, including how to order, will be announced at a later date. BlizzCon 2013 would not be possible without the passion and enthusiasm of Blizzard Entertainment gamers around the world and the generosity of the event’s partners—Intel, NVIDIA, Sony Computer Entertainment, DIRECTV, SteelSeries, GIGABYTE, Rosewill, and EVGA—who provide demo-station hardware, peripherals, and more, and whose support helps make the broadcast possible.